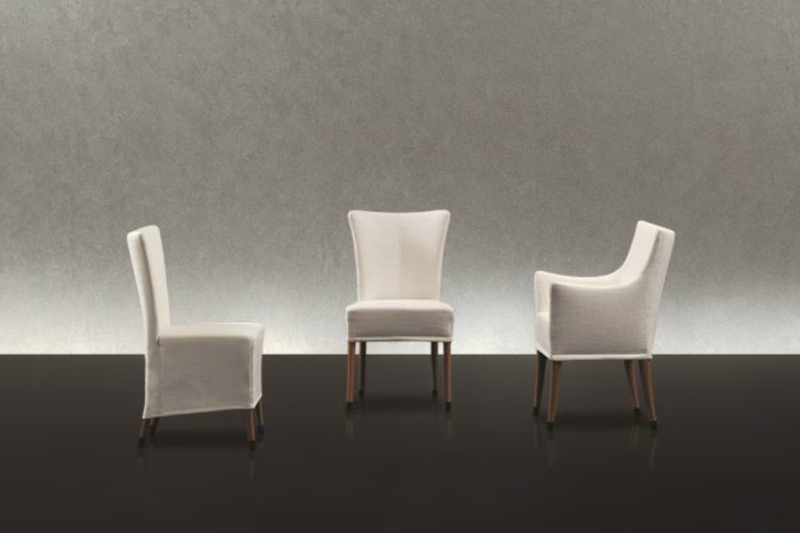 Giorgina is a beautifully understated range of armchairs in polished or lacquered solid beech wood. The padding is in non-deformable polyurethane and fibre. The fabric or leather upholstery is completely removable. The foot-cap is in black nylon. The mini and maxi executions are obtained by applying coverings on the same frame, which have been cut differently.